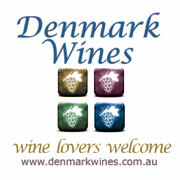 Denmark, Western Australia Visitors Guide. Plan Denmark Holidays here in the Denmark Region of Western Australia. The Denmark Region is filled with natural beauty. Tall trees, green hills, sandy beaches, rounded rocks, natural wildlife... Even the town of Denmark sits astride the beautiful curving Denmark River as it gracefully flows into the Wilson Inlet. The Denmark Coast is spectacular, and each beach, forest, or walk shows you another unique side of the beautiful Denmark Region. Find out more about Denmark Town. The town of Denmark is the heart of the region. It sits astride the Denmark River (the town was once called Denmark River) just as it curves, flowing into the Wilson Inlet, an untouched sanctuary for the Black Swans for hundreds of years. The Denmark region is known to the aboriginal community as 'Koorabup' meaning 'place of the Black Swan' and is home to many species of waterbirds including the Western Australian Pelican, Black Swan and of course the Blue Wren, the symbol of Denmark Shire. The Town of Denmark (once called 'Denmark River') is a wonderfully vibrant culturally-rich town filled with as Wikipedia puts it (and we agree): "... a colourful mix of different characters, individualists, followers of natural care, spiritualists, naturalists, artisans, artists and retired people from all parts of the world. Some of them see Denmark more or less as a sanctuary." There are many beautiful beaches along the Denmark coast. We have included a page on each of them as well as a very cool Denmark Beaches Map (if we do say so ourselves!) Visit the Denmark Beaches MAP to get your bearings and to choose your beach! Denmark WA is surrounde by many beautiful beaches that will challenge your ideas of what beautiful beaches are like. Greens Pool and Elephant Cove in William Bay National Park are outstanding for their natural beauty. Ocean Beach and Lights Beach are great surfing and beachwalking beaches. Prawn Rock Channel is popular in the middle of summer for a wave-less swimming experience. Every choice is a winner. The William Bay National Park is located only a short drive west out of Denmark town. This is where Greens Pool and Elephant Rocks can be found. Find out where this is on the William Bay National Park Map. A magnificent walkway takes you into the canopy of Ancient Tingle Trees at the Valley of the Giants Treetop Walk. Truly amazing and worth a visit... The Valley of the Giants is the most visited place on the south coast. That's because of the Giant Tingle Trees and the architecturally designed pathway which takes you gradually into their giant forest canopy. At about forty metres, the view is breathtaking. It's not often you get to stand, head height, among these ancient giants. The treetop walk is a series of lightweight steel trusses built on steel pylons to form a circut 420 metre long leading over a deep red tinge gully. As the gully descends, you ascend. It's a gradual climb into the treetops. The Valley of the Giants Treetop Walk, the Ancient Empires Walk & The Walpole Wilderness Discovery Centre is a must-see when down on the Rainbow Coast. There are a large number of indigenous bird species, including Splendid Bue Fairy-wrens (the emblem of Denmark), Western Australian Rosellas, Australian White Ibis, Australian Pelicans, Australian Ringnecks... etc. This region of WA is in the top nine terrestrial habitats for terrestrial biodiversity in the world, with a higher proportion of endemic species than other equivalent regions. Thanks to the offshore Leeuwin Current the area numbers in the top six regions for marine biodiversity, containing the most southerly coral reefs in the world. The air is fresh and clean. Many people travel from all over the world to experience the natural beauty of this magnificent part of the world. Many species of reptiles including snakes and skinks can be found. Marsupials such as the Western Grey Kangaroo, the Quokka, the Southern Brown Bandicoot and the Common Brushtail Possum also live in the Denmark area. Adventuring at Lights Beach we watched the dolphins chase fish INSIDE the enormous turquoise waves as they were crashing close to the shore! Wow! A truly memorable experience. Western Australia is bounded by South Australia and the Northern Territory to the east, and the Indian Ocean to the west and north. In Australia, the body of water south of the continent is officially gazetted as the Southern Ocean, whereas the International Hydrographic Organization (IHO) designates it as part of the Indian Ocean. The southwest coastal area has a Mediterranean climate and was originally heavily forested, including large stands of the karri, one of the tallest trees in the world. This region of Western Australia is in the top nine terrestrial habitats for terrestrial biodiversity. Thanks to the offshore Leeuwin Current the area numbers in the top six regions for marine biodiversity, containing the most southerly coral reefs in the world. The first European to explore the district was Dr Thomas Braidwood Wilson (photo) in 1829. A surgeon with the Royal Navy, Wilson decided to explore the land to the west of Albany while his ship was laid up in King George III Sound. His guide, a native named Mokare led Wilson and four other men up the Denmark River from the Wilson Inlet. He noted the locals called this place Koorrabup, meaning "place of the black swan" which live in the Denmark waterways. The Wilson Inlet was named after him by Governor Stirling and Wilson named Denmark after a colleague, Dr Alexander Denmark. We recommend Denmark Accommodation, awesome places to Visit, Denmark Nurture & Wellbeing Guide, and let's not forget this is the Denmark Wine Region! The Denmark Region Map is handy. Also the Denmark Beaches Map, the William Bay National Park Map or the Denmark Map of Maps is good to see. Rainbow Coast Regional Weather includes links to current regional weather information. The climate is Medderanean in nature, usually the coast is green even in late summer.